Another sample of a mosaic collection of individual images on individual tiles that are placed together to make a complete image. The image and design is your choice. Great opportunity to enhance the look of a wine cellar, kitchen or bath room with a custom image (text or graphic). Ideal suited for custom kitchens. 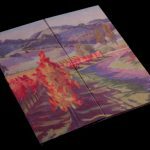 Made of 4″ square tiles that are arranged in a grid that may be grouted or without grouting. Quartz is the 4th hardest stone. Same material used in high end applications such as counter tops. Architects and homebuilders should appreciate the extract value to a custom backsplace for home or office environment. Backsplashes can be made to fit most any space (kitchens, bath, office spaces) and is dependent on image quality and size. Image shown, utilizes only 6 -4 x 4 inch tiles and was surrounded by Subway Tiles for accent. In many magazines featuring custom homes they often feature backsplashes with uniques scenes, tile designs or text. 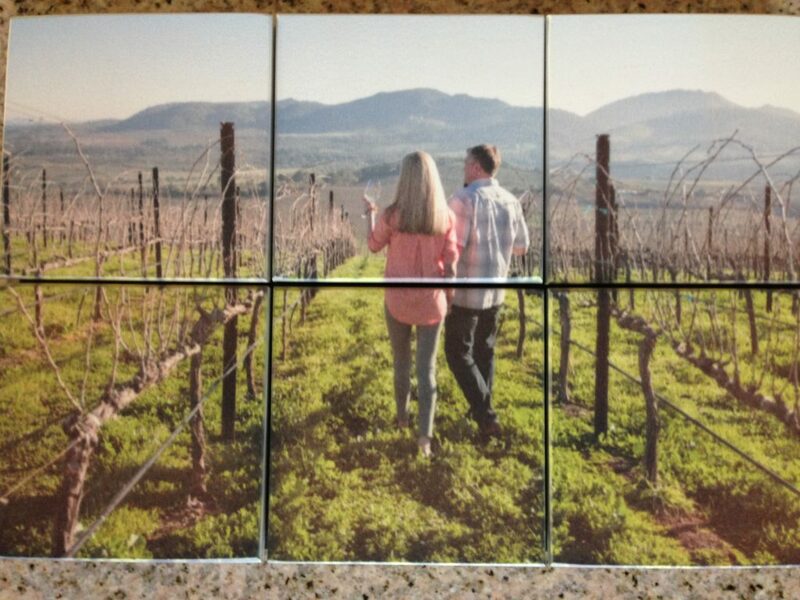 Why not create a kitchen or wine cellar feature with a custom image permanently imbedded in quartz tiles. This feature can incorporate most any image. The size of the finished tile imags is not limited in most circumstances. 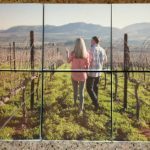 Great opportunity to enhance the look of a wine cellar, kitchen or bath room or office with a custom image (text or graphic).